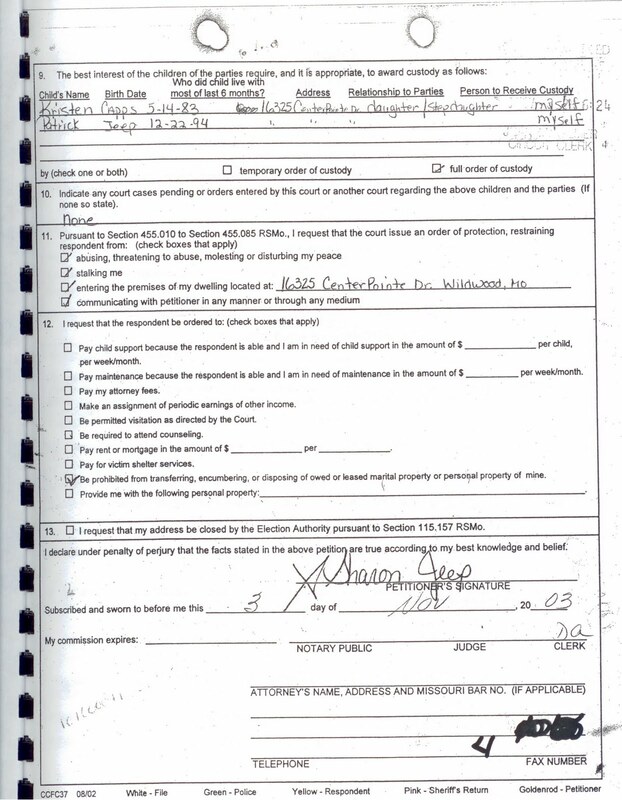 Please accept this Citizen's indictment. If We the People need to DIE to defend our liberty, be assured eventually we will. Patrick Henry's assertion will be taken to fruition. Give us Liberty or give us DEATH!!!!! You and your assertion of Absolute Immunity has been tolerated for TOOOOO long. 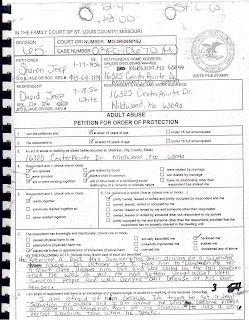 To any reckonable reading of the fraudulent petition dated November 3, 2003, as attached, the Statute and the Constitution, the warrant/order issued by Judge Goeke and ordered heard by Commissioner Jones was not "a facially valid court order" thus ANY and all acts taken pursuant to the fraudulent facially IN-valid court order resulted in a deprivation of rights, privileges, or immunities secured by the Constitution and laws. 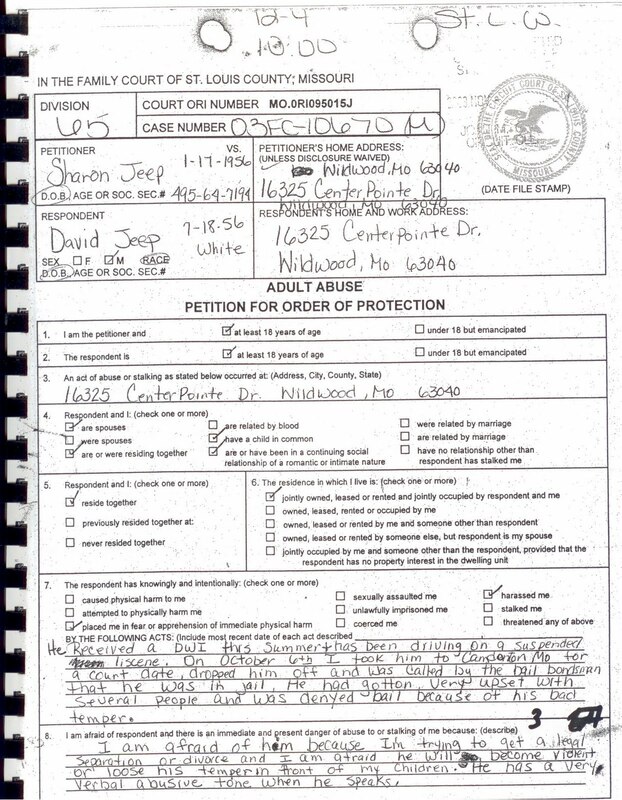 Therefore any all the acting parties knowingly or unknowingly asserting the facially IN-valid court order are actors in the malicious, corrupt, dishonest, fraudulent, or incompetent "deprivation of rights, privileges, or immunities secured by the Constitution and laws, shall be criminally and civilly liable to the party injured in an action at law, suit in equity, or other proper proceeding for redress." The Supreme Court has consistently, maliciously, corruptly, fraudulent and incompetently asserted absolute immunity for the "malicious or corrupt" judges, the "malicious or dishonest" prosecutor,  the "knowingly false testimony by police officers" and malicious, corrupt, dishonest and incompetent actions of "all persons -- governmental or otherwise -- who were integral parts of the judicial process"  acting under color of law to wit, ABSOLUTE CORRUPTION. The Supreme Court has consistently, maliciously, corruptly and incompetently thus denied their reckonable raison d'être - Equal Justice under the Supreme Law of the Land. The denial of their raison d'être results in the Supreme Court's ABSOLUTE CORRUPTION. Admittedly the Jane Crow era of rampant deprivation of RIGHTS is relatively new as compared to its predecessor the Jim Crow era. I have referenced "To Kill a Mocking Bird, The Denial of Due Process," in several of my papers. I do so only because the admittedly fictionalized facts of the case in "To Kill a Mocking Bird" are generally known but not without standing in the Jane Crow era. "Immunity is given to crime, and the records of the public tribunals are searched in vain for any evidence of effective redress." "The courts are in many instances under the control of those who are wholly inimical to the impartial administration of law and equity." I say it NOW, Wednesday, May 15, 2013!!! Justice William O. Douglas said it in 1961 and 1967. Mr. Lowe of Kansas and Mr. Rainey of South Carolina respectively said it originally in 1871. Anyone that questions this should read "INHERENTLY UNEQUAL, The Betrayal of Equal Rights by the Supreme Court, 1865-1903" by Lawrence Goldstone and / or "The shifting wind: the Supreme Court and civil rights from Reconstruction to Brown" by John R. Howard. "With 5% of the world's population, our country now houses nearly 25% of the world's reported prisoners." "Six million people are under correctional supervision in the U.S.—more than were in Stalin's gulags." I cannot call you Chief Justice, even this reference to it makes me SICK TO MY STOMACH!!!! The Supreme Court has with its self-serving creation of ABSOLUTE IMMUNITY for itself and its sycophants, judicial (""It is a principle of our law that no action will lie against a judge of one of the superior courts for a judicial act, though it be alleged to have been done maliciously and corruptly; therefore the proposed allegation would not make the declaration good. The public are deeply interested in this rule, which indeed exists for their benefit (HOW does the potential denial of rights benefit We the People?) and was established in order to secure the independence (HOW do the judges justify independence form the Supreme Law land there WERE TO BE BOND BY?) of the judges and prevent them being harassed by vexatious actions"
 fraus omnia corrumpit Fraud unravels it all. Fraud cannot be allowed to pay. As presented to the Supreme Court on 5 Petitions for a Writ of Certiorari. 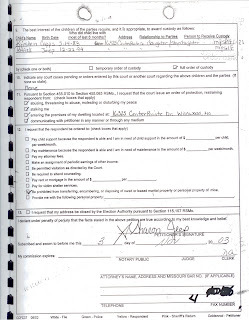 Amendment IV The right of the people to be secure in their persons, houses, papers, and effects, against unreasonable searches and seizures, shall not be violated, and no Warrants shall issue, but upon probable cause, supported by Oath or affirmation, and particularly describing the place to be searched, and the persons or things to be seized. Amendment V No person shall be held to answer for a capital, or otherwise infamous crime, unless on a presentment or indictment of a Grand Jury, except in cases arising in the land or naval forces, or in the Militia, when in actual service in time of War or public danger; nor shall any person be subject for the same offence to be twice put in jeopardy of life or limb; nor shall be compelled in any criminal case to be a witness against himself, nor be deprived of life, liberty, or property, without due process of law; nor shall private property be taken for public use, without just compensation.